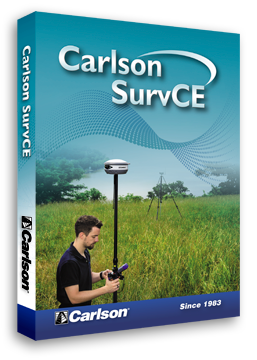 The Carlson SurvCE 4.0 upgrade was released on June 15, 2014. For those moving from any SurvCE 2.0 versions to 4.0, the cost is $300. The price for 4.0 for those upgrading from an initial purchase of SurvCE 3.0 over this past year is $150. Literally 100s of enhancements have been built into SurvCE 4.0, which continues to be upgraded throughout the year. Here’s one of the newest aspects of Carlson SurvCE—SurvCE can read the GIS feature/attribute structure from a client’s Esri GIS geodatabase, collect additional survey-grade data to that schema, and write it back as ArcGIS compatible data in a single seamless workflow. No office software required! See it in action in this webinar, along with an introductory discussion by Brent Jones of Esri about the new opportunities for surveyors in the GIS marketplace.